Welcome to Day 13 of my ‘Album of the Year 2013’ countdown. As always, thanks for sticking with me on this seemingly mammoth undertaking. I hope that you’re enjoying my choices and my inane drivel as much as I’m enjoying putting it all together. If you’re not enjoying it, tell me why, I can take it. Equally, if you are enjoying it, tell me why. I love a good debate about music as much as the next person, so hit me with it. Let’s cut to the chase immediately by saying that this album more than ably demonstrates, in my opinion at least, that Carcass are currently the benchmark for all other bands when it comes to death metal. 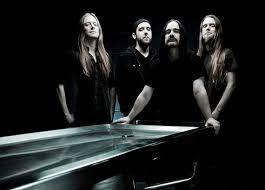 In 2007, the extreme metal world rejoiced as one when news broke that, after a decade of inactivity, Carcass had reformed. Of course, at that stage, a new album of original material was still a pipe dream but at last, this long-held hope that the Liverpudlian death metallers might head into the studio again became a wonderful reality. And yet, fans also collectively held their breath, hoping that the results would be worth the long wait. 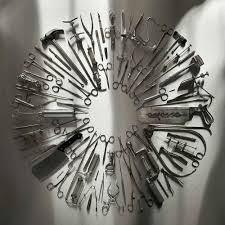 But this is Carcass – was it ever really in doubt that they’d deliver the goods? As the album title suggests, ‘Surgical Steel’ is an expertly crafted exercise in precision brutality. The riffs twist and turn with savage speed and ferocity, the blast beats pummel the senses and the unmistakable raspy growl of bassist Jeff Walker is as caustic as ever. The whole thing feels extremely professional and has the air of a band at the very top of their game. What I like most about ‘Surgical Steel’ is that, without sounding forced or contrived, the quartet have managed to pay homage to just about all aspects of their past. Therefore, alongside the nods to their grindcore-influenced early days, there’s also a quasi-melodic rock ‘n’ roll swagger here and there if you listen with a sufficiently savvy ear. The end result is simply marvellous and is the album that I and many others dared to hope that it might be. Oh and the guitar tone used at the beginning of ‘Mount of Execution’ is one of the best I’ve ever heard. Honestly. Remember, if you missed last year’s list, my Top 20 for 2012 can be read here.